Well, I am so scatterbrained at the moment that I can't remember where exactly I'd read that I shouldn't miss Balzac's A Murky Business (Une Ténébreuse Affaire) as part of examining crime literature of the 19th century, but it really doesn't matter. Balzac was also a close friend of Vidocq, and according to Graham Robb's 2004 London Review of Books take on Vidocq's memoirs, he used to "pump" Vidocq "for information on organized crime and political espionage." It's 1803, and Napoleon is poised to crown himself Emperor before beginning his long European campaigns. A "royalist plot" has supposedly been discovered and two police officials (Peyrade and Corentin) seek four noblemen who are accused of being behind it. By their own machinations, Peyrade and Corentin (who are noted in the introduction as "perfect examples of the cunning and malevolent police spy"), carry out what can only be called a miscarriage of justice by setting up these four men along with an estate steward to be framed for a crime that merits the death penalty. I think that's about all I'll say -- a) it's way more complicated than just that and b) well, it's a good historical fiction novel that covers political intrigue that deserves a full reading. As for how it stands up as a crime novel, well, Herbert J. Hunt in the intro does note that "We may find some fault" in how it fares as a "whodunit," citing three major issues re various plot elements, but concludes by saying that "it may be accepted as a fair example of an early mystery story...," and I have to concur. There is certainly a mystery to be found in and among the police machinations here, one which is not fully solved until just toward the end. More importantly though, the book reveals much about the courts and the system of justice of the time -- and is very much worth reading. 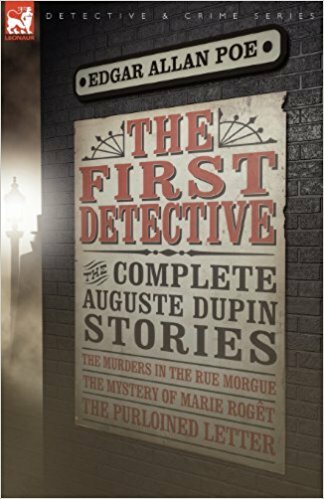 And now, to what is supposed to be the grandaddy of all modern detective fiction, I turn to the three stories by Poe featuring his detective C. Auguste Dupin in Leonaur's The First Detective: The Complete Auguste Dupin Stories. Oh dear. With this book I have once again become that fish swimming against the tide of opinions of practically everyone else who's read these three stories contained in this book, the sum total of Poe's Dupin stories. While I get their importance in the history of detective/crime fiction, quite frankly, this book bored me silly. I love Poe's gothic/supernatural-ish works to be sure; his somewhat cryptic Narrative of Arthur Gordon Pym was weird but kept me flipping pages, but I just can't stand Auguste Dupin nor do I care for Poe's writing here. In all three of these tales, it's Dupin's thought process that solves the crimes -- other than a brief visit to the crime scene in "Murders of the Rue Morgue" and a short visit to the home of the known thief in "The Purloined Letter," Dupin turns out to be the epitome of the armchair detective, letting his mind do all of the work. Not that there's anything wrong with that, but it's the way these tales are written that made me wish I'd saved the book for a night of trying to battle insomnia. Don't get me wrong -- I'm very used to reading nineteenth-century prose, and if I could survive Lytton's writing in Eugene Aram, well, Poe should have been a cakewalk. However, "Marie Rogêt" just about did me in and in "The Purloined Letter," I counted a five-page rundown of "the particulars" of a search made by the Prefect of the Parisian police. Five pages just noting every potential hiding place for the missing letter -- that's just uncalled for, really. But, as I said, readers seem to love this book, so it's probably me. 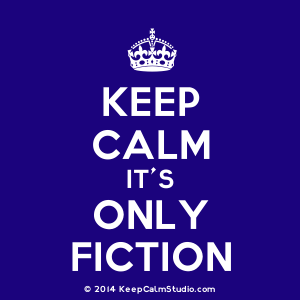 I'd say give it a try simply because of its place in crime/mystery/detective fiction history -- now I can say been there, done that, and bought the T-shirt. Not one of my favorites at all this year.